The MonoLight is a twin-sided hazard lamp that comes with a cone bracket as standard. It has two modes, flashing and continuous. The LED lamp allows the MonoLight to achieve a generous 300 hours (25 days) of battery life on a single battery in continuous “on” mode. The lamp is unique in that the head can be rotated 360 degrees and is also twin-sided, allowing it to be used at almost any angle. The lamp features a solar activated switch, allowing it to automatically turn on when the sun goes down. This simple feature saves on battery life. 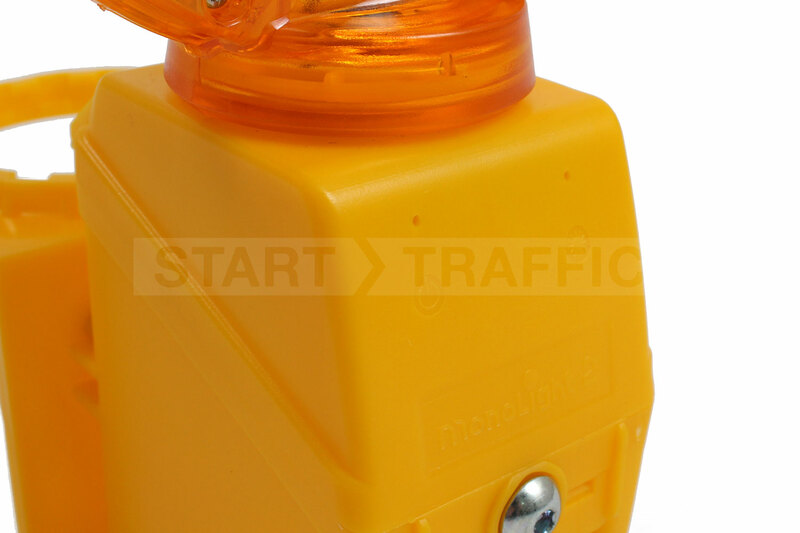 The battery compartment is opened using an allen-key as a deterrent to battery theft. The MonoLight is BS2143 and EN12352 Compliant. The Monolight can withstand the normal “abuse” these lights see in day to day use. Easily seen large 180mm lens for better visibility in all weather conditions. Keep the battery safe and prevent unauthorised access. Choose between flashing or a constant on depending on your requirements. Roadworks - Fitted onto cones these lamps ensure that motorists see upcoming works. Road Closures - Fitted to cones in front of a barricade improving visibility and warning motorists. 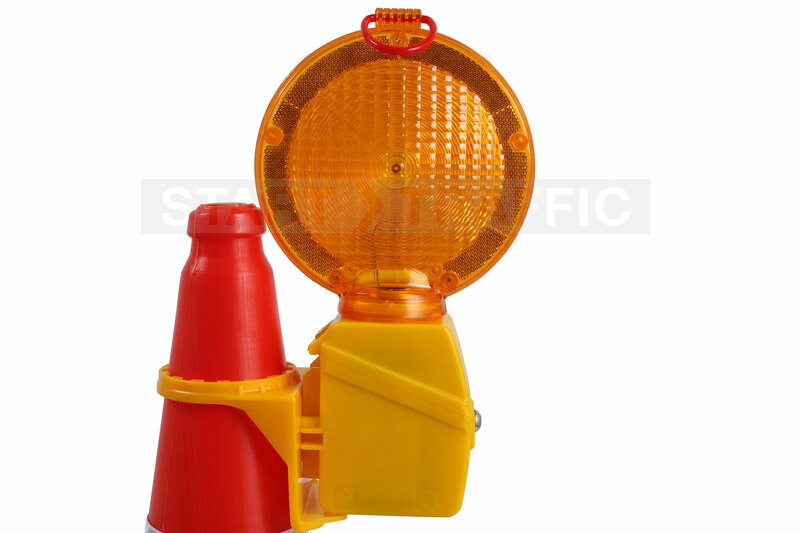 Accidents & Response - These simple lamps can be fitted to cones around an accident site to quickly and drastically improve the visibility of the incident for motorists. Need more information about the MonoLight? Give our sales team a call on 01905 794 875 they will be happy to discuss any questions that you may have about the MonoLight or any of our other cone safety lamps.